His frustration is understandable but I wonder – with the greatest respect to Mr Betts – whether this might be a glass-half-empty response, for a couple of reasons. First, the government has not rejected the proposed reform of the 1961 Act; it is still on the table. In its response it talks about allowing recent changes in this area to bed in first but adds that it ‘will continue to monitor their practical application and remain[s] open to considering practical improvements to the framework’. It points out too that Sir Oliver Letwin recently advanced proposals germane to this discussion and that it is due to respond to him in February. Given that Sir Oliver is proposing quite detailed reforms to larger-scale housing developments, the government’s response to him seems the more likely vehicle for a gear-change on any compulsory purchase changes that might be deemed necessary. Second, it does not seem to have been too convinced by the various bogus objections that were levelled at the select committee’s proposals, such as the idea that the system already captures enough uplift as it is (the committee’s estimate was about 50 per cent on average, which is probably on the generous side). 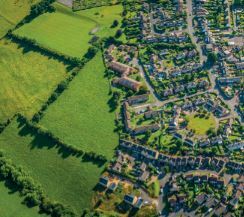 The government agrees with the committee that ‘there is scope for central and local government to claim a greater proportion of land value increases’. Nor does the government parrot any of the wilder claims about reform leading to a dual land market in which some landowners would be paid at below the market value and thus their human rights would be infringed. Doing so would have been an easy way to kill the proposals stone dead; it chose not to. What it does do is restate the importance of the principle of ‘equivalence’, so that landowners are compensated at the market value of the land before the compulsory purchase was undertaken (that is, in the ‘no-scheme world’). This is entirely proper and consistent with reform of hope value. Opponents of reform often suggest this requires that hope value must be paid, but that is only true under the current legislation. They miss the point that, if Sections 14-17 were reformed to exclude consideration of prospective planning permissions, the market value prior to the compulsory purchase would no longer include hope value. The principle of equivalence, and the payment of market value as per Section 5, would be undisturbed. One further point of interest concerns a proposal to revise and re-publish some plain English booklets on the land compensation rules that originally came out in 2004. Given some of the smoke that is regularly blown around in this area, this would be a very good idea.